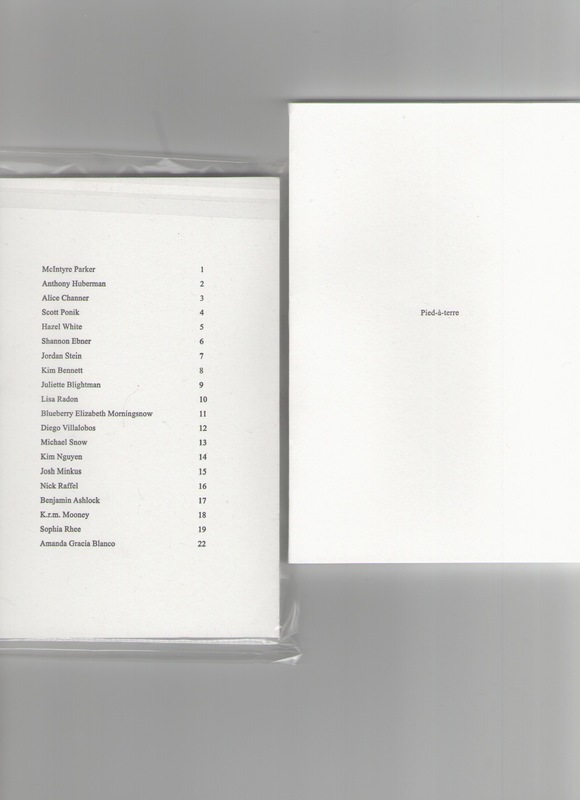 A slim book about Pied-à-terre, an off-space run by McIntyre Parker from 2009 to 2016. The volume gathers texts and contributions by artists, curators, and writers who visited or worked with Pied, forming little by little a subtle portrait of a peculiar project. Offset printing by Gary Robbins, sewing and letterpress by Aaron Flint Jamison.